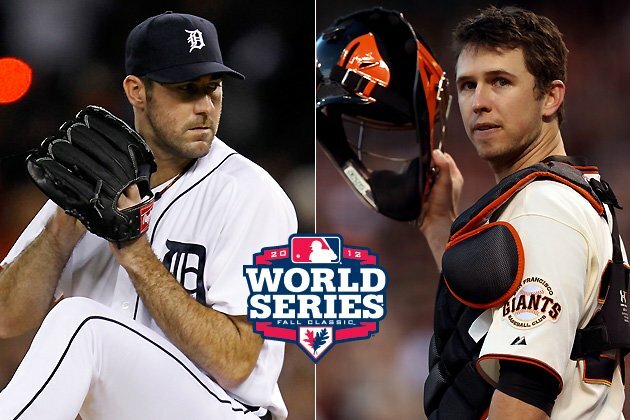 The 2012 Major League Baseball postseason has been filled with excitement over the course of the early rounds. For the first time, ten teams qualified for the playoffs. After several intense series, the final two teams are left standing. The Detroit Tigers outlasted the Chicago White Sox in order to win the American League Central following a September surge. The playoff-like atmosphere of September prepared Detroit for the challenge of outlasting the upstart Oakland Athletics as they were forced to play a decisive Game 5 in hostile Oakland. Despite a game one 9th inning hiccup from closer Jose Valverde, the Tigers managed to sweep the New York Yankees on their way to winning the franchise’s 11th American League Pennant. The National League battle for the pennant has been even a tighter contest. The Giants found themselves in a quick 2-0 hole in the LDS facing the low odds of winning three consecutive games in Cincinnati. San Francisco answered the call and found a way to pull off three consecutive elimination road victories. The 2nd wild card and defending World Champion St. Louis Cardinals rolled into San Francisco and grabbed game one of the NLCS. The Cards went on to win three of the series’ first four games and the Giants found themselves faced with the prospects of winning three consecutive games. Once again San Francisco answered the call behind outstanding performances from Barry Zito, Ryan Vogelsong and Matt Cain. The Giants stomped the Cardinals in game seven on their way to winning the franchise’s 21st National League Pennant and second in three seasons. The 108th World Series has been set and there certainly is plenty of postseason experience between the two remaining squads. The Tigers enter the World Series rested with a rotation in order, the Giants arrive battled-tested after winning six elimination games over the previous two series. If the postseason to this point has been any indication as to what we can expect going forward, I’d say we are in a very competitive and exciting World Series.